Dharma is the path of righteousness and living one's life according to the codes of conduct as described by the Hindu scriptures. Hinduism describes dharma as the natural universal laws whose observance enables humans to be contented and happy and to save himself from degradation and suffering. Dharma is the moral law combined with spiritual discipline that guides one's life. Hindus consider dharma the very foundation of life. It means "that which holds" the people of this world and the whole creation. Dharma is the "law of being" without which things cannot exist. Dharma refers to the religious ethics as propounded by Hindu gurus in ancient Indian scriptures. Tulsidas, author of Ramcharitmanas, has defined the root of dharma as compassion. This principle was taken up by Lord Buddha in his immortal book of great wisdom, Dhammapada. The Atharva Veda describes dharma symbolically: Prithivim dharmana dhritam, that is, "this world is upheld by dharma". In the epic poem Mahabharata, the Pandavas represent dharma in life and the Kauravas represent adharma. 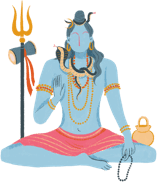 Hinduism accepts the concept of reincarnation, and what determines the state of an individual in the next existence is karma which refers to the actions undertaken by the body and the mind. In order to achieve good karma, ​it is important to live life according to dharma, what is right. This involves doing what is right for the individual, the family, the class, or caste and also for the universe itself. Dharma is like a cosmic norm and if one goes against the norm, it can result in bad karma. So, dharma affects the future according to the karma accumulated. Therefore one's dharmic path in the next life is the one necessary to bring to fruition all the results of past karma. Anything that helps ​a human being to reach god is dharma and anything that hinders a human being from reaching god is adharma. According to the Bhagavat Purana, righteous living or life on a dharmic path has four aspects: austerity (tap), purity (shauch), compassion (daya) and truthfulness (satya); and adharmic or unrighteous life has three vices: pride (ahankar), contact (sangh), and intoxication (madya). The essence of dharma lies in possessing a certain ability, power, and spiritual strength. The strength of being dharmic also lies in the unique combination of spiritual brilliance and physical prowess. Manusmriti written by the ancient sage Manu, prescribes 10 essential rules for the observance of dharma: Patience (dhriti), forgiveness (kshama), piety, or self control (dama), honesty (asteya), sanctity (shauch), control of senses (indraiya-nigrah), reason (dhi), knowledge or learning (vidya), truthfulness (satya) and absence of anger (krodha). Manu further writes, "Non-violence, truth, non-coveting, purity of body and mind, control of senses are the essence of dharma". Therefore dharmic laws govern not only the individual but all in society. The purpose of dharma is not only to attain a union of the soul with the supreme reality, it also suggests a code of conduct that is intended to secure both worldly joys and supreme happiness. Rishi Kanda has defined dharma in Vaisesika as "that confers worldly joys and leads to supreme happiness". Hinduism is the religion that suggests methods for the attainment of the highest ideal and eternal bliss here and now on earth and not somewhere in heaven. For example, it endorses the idea that it is one's dharma to marry, raise a family and provide for that family in whatever way is necessary. The practice of ​dharma gives an experience of peace, joy, strength, and tranquillity within one's self and makes life disciplined. 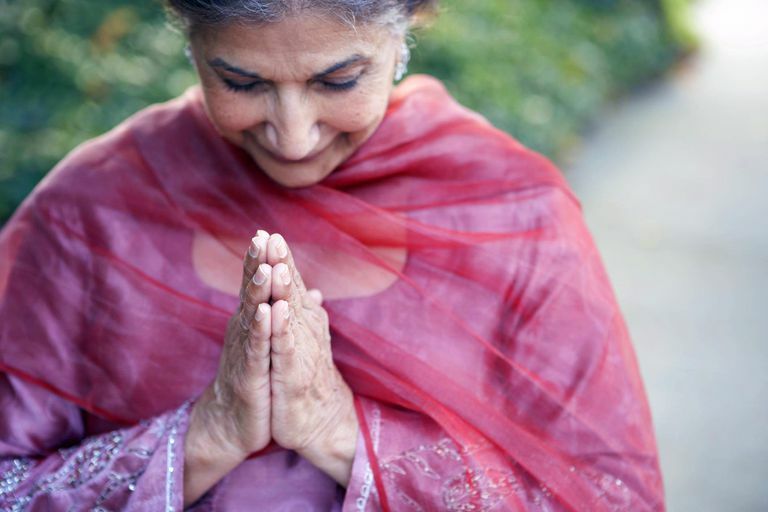 Do You Know the Main Tenets of Hinduism? How Can Gemstones Help in Healing? Why Do Hindus Practice Fasting? What Does Karma Mean to Hindus?